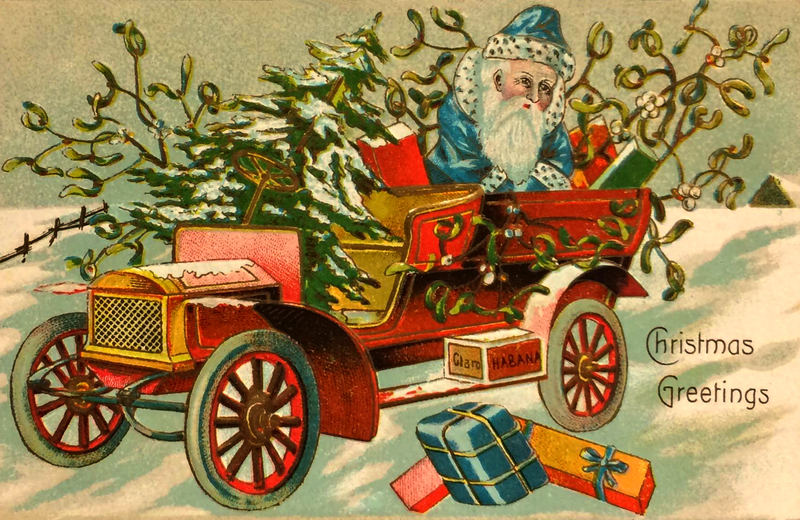 Copyright free, vintage holiday images are among the most sought after free downloads on the web. We are working to bring you only those vintage holiday postcards, advertising images and other pieces that we can verify as being in the public domain. We want you to be able to have fun working with these images and not have to worry about whether or not they are actually still under copyright. We have a growing collection of Valentine’s Day postcards to send to your favorite someone or to use on a memory page. Most of them are from the early 1900s. Easter is currently our smallest holiday image category. Hopefully, that will change in the near future. But, you still might want to take a look at what we have. If you are looking for July 4th and Independence Day graphics and cards, they can be found in our section of vintage patriotic images. Halloween images are a more recent addition to Free Vintage Art. We found a great vintage paper goods catalog from 1920 that contained several examples of their Halloween decorations. The catalog shared party ideas and sadly did not contain good pictures of all of their graphics. We did manage to snag a few great ones that you will hopefully find useful. We all have much to be thankful for. Just think of all of the wonderful holiday images that are now available for crafters. Thanksgiving is the perfect holiday for vintage illustrations and we have a small collection of them to share with you. Christmas is coming and so is hopefully a selection of Christmas holiday images to get your crafty juices flowing. 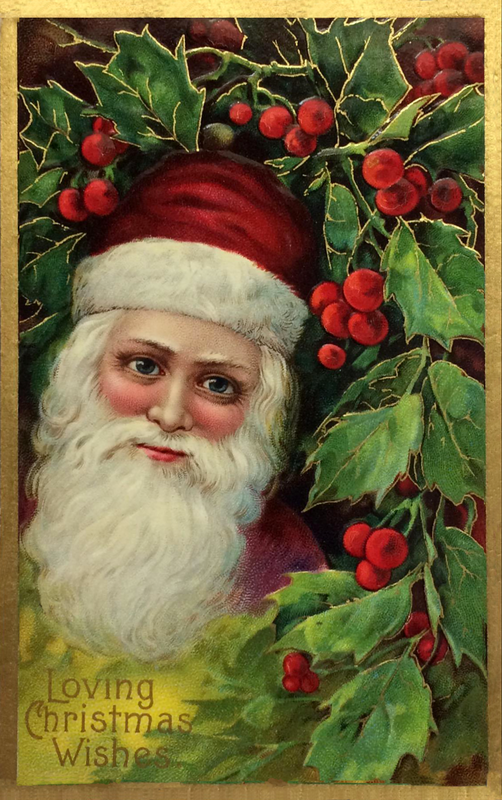 We have a mixture of vintage Christmas greetings and iconic images from the holiday. As this is only our second year running Free Vintage Art, we have a relatively small collection of vintage holiday images here. We hope the selection offers you something you find useful and please do remember us for next year as we will no doubt have even more wonderful public domain holiday images to share with you. 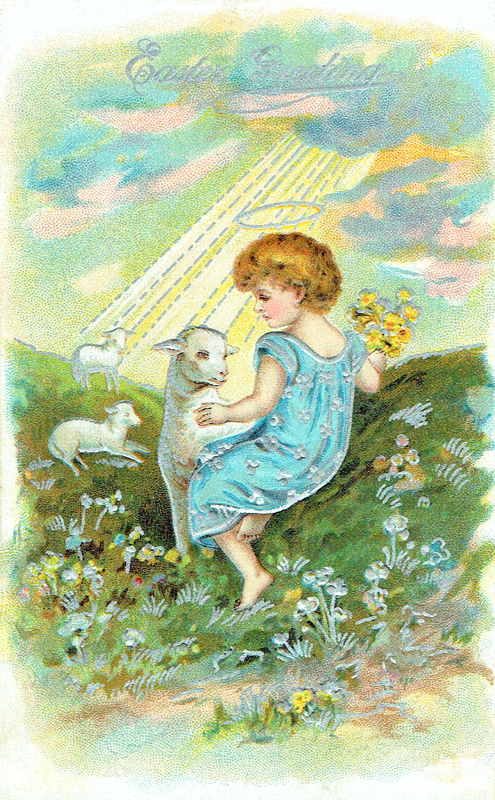 A sweet little angel with lambs wishes you Happy Easter. A sweet pastel-colored image full of sunshine, flowers and cuteness. 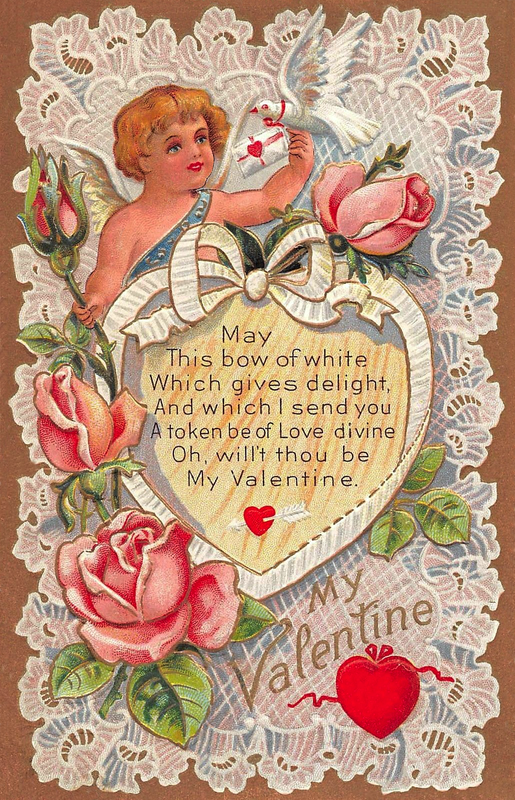 Cupid and a pretty white dove are prepared to deliver roses and a white bow as a token of your love. This Valentine Token is from 1910, or earlier. 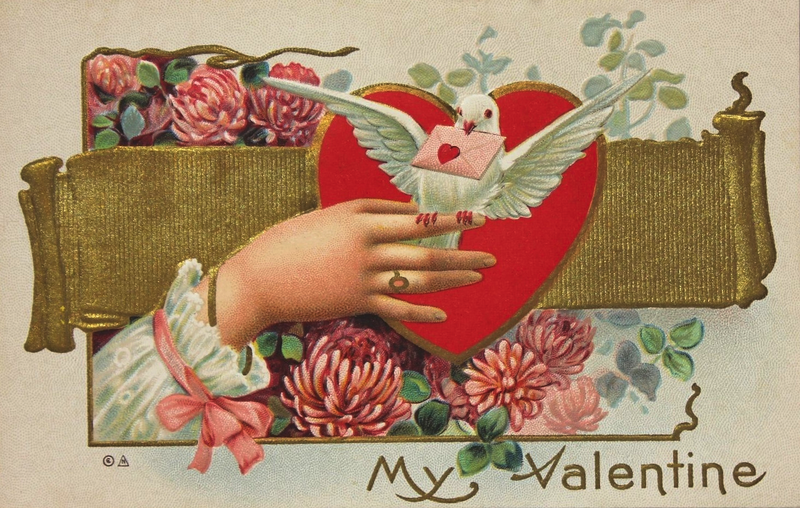 A white dove, a red heart, a lady’s hand and a sweet Valentine Post trimmed by a golden bow. 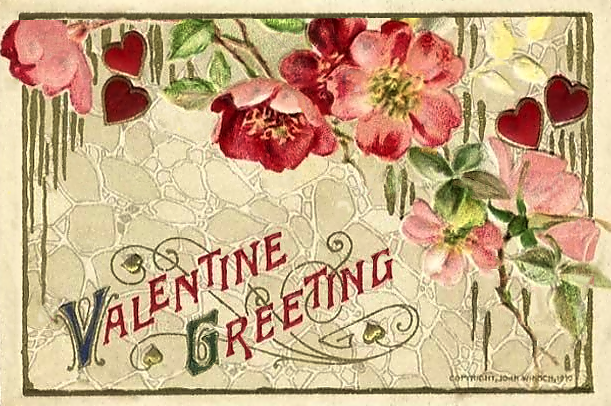 Great vintage Valentine’s Day image in the public domain in USA. 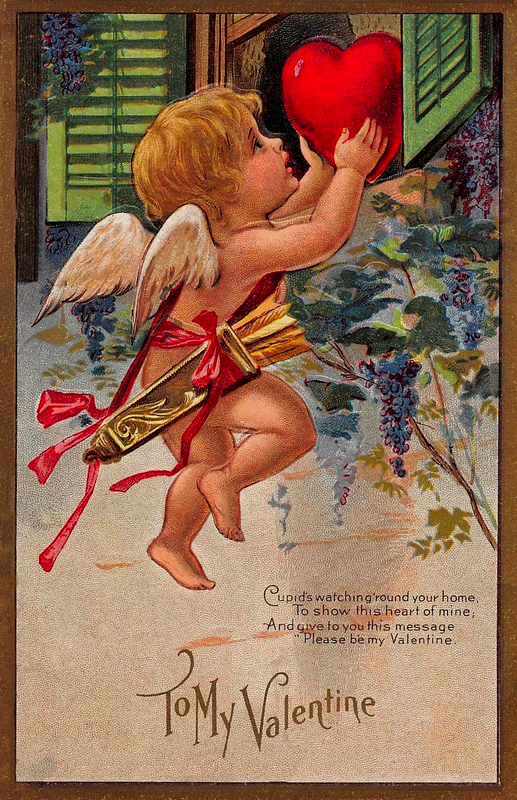 Cupid’s Delivery – the sender’s heart, placed upon a windowsill surrounded by blue and purple wisteria flowers. Public Domain art for your own creative projects. Take 1 slightly odd vintage Valentine’s Day card, edit out the weird part, and you have this colorful Valentine Greeting with pink and red flowers on a stone wall. 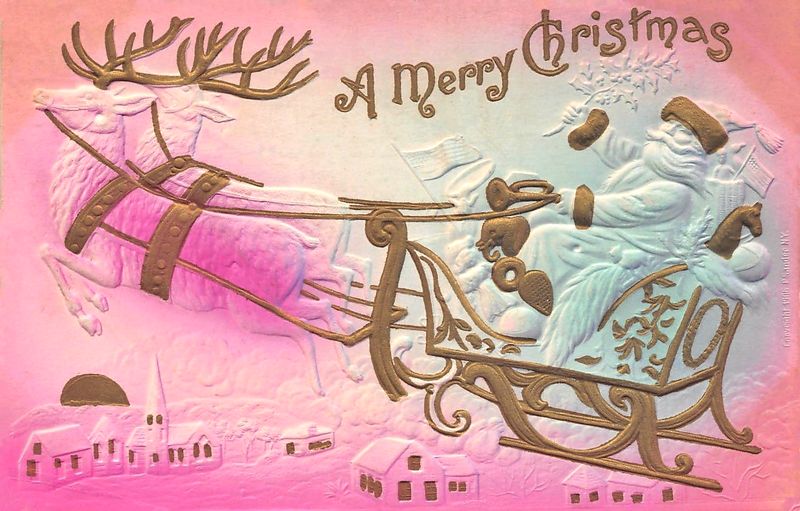 A vintage golden, white and pink Christmas card from the early 1900s. Something unusual, yet still traditional for your holiday crafty endeavors. 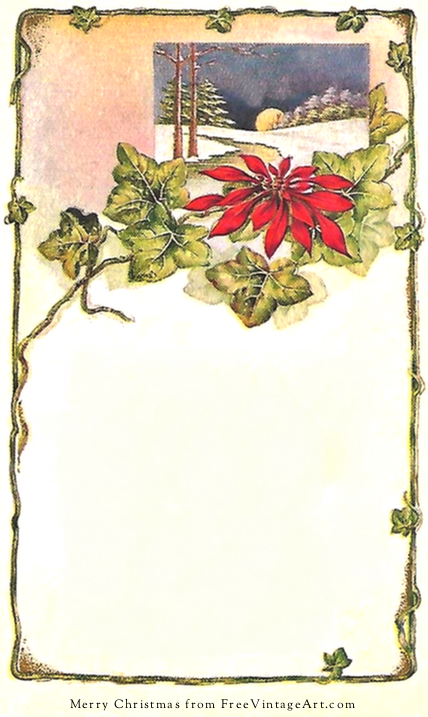 Printable, vintage Christmas stationery from FreeVintageArt.com. Page-sized printable suitable for adding your own holiday greeting. Good for thank-you’s too. 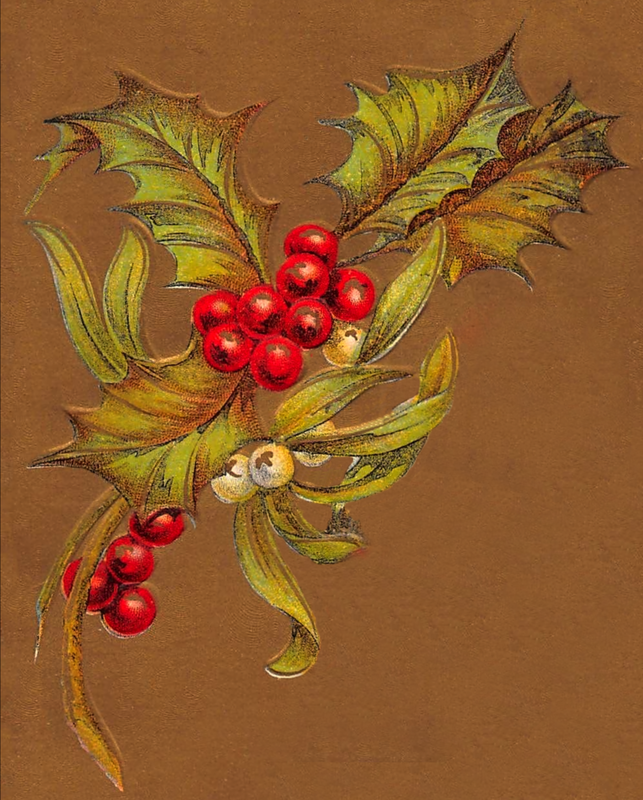 Holly spray is a vintage Christmas image for crafting and card-making. It dates back to at least 1910, putting it in the public domain in the USA. 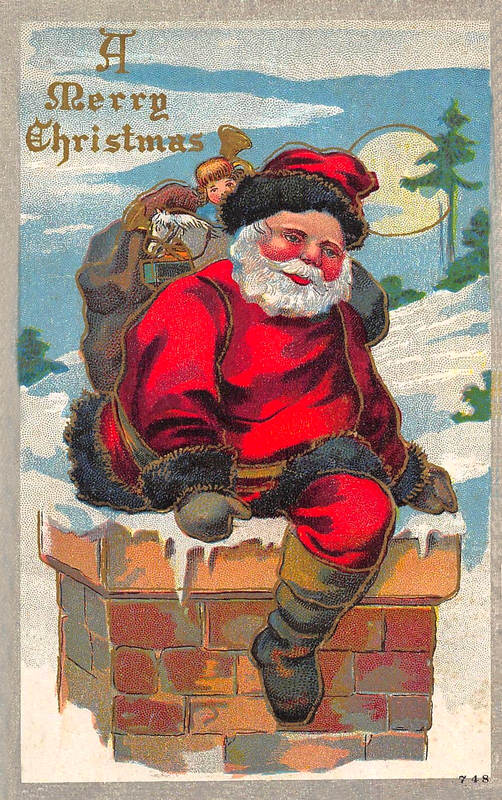 Charming vintage Christmas postcard of Santa going down the chimney. For Americans, the 1910 postmark puts it in the public domain. 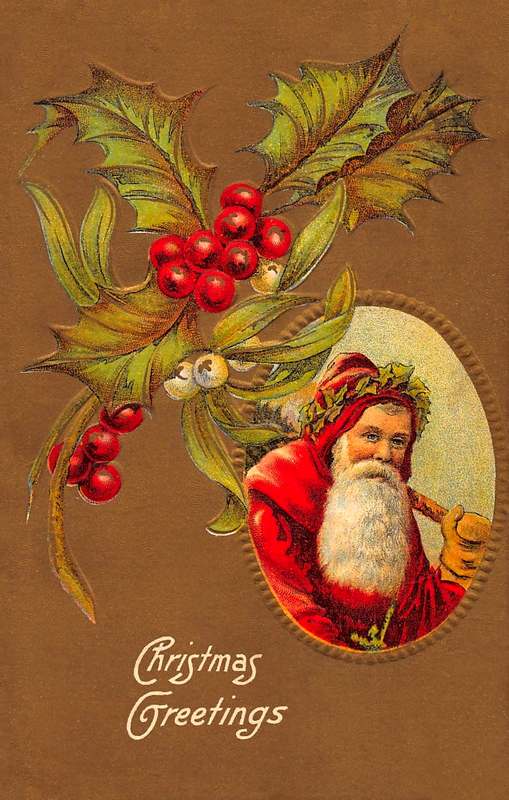 Santa in Holly is a lovely vintage Christmas postcard. It dates back to at least 1909 when it was sent. Use as is or maybe add your own face. Christmas 1909. Santa’s Car has temporarily replaced his sleigh. Full of presents, a snowy Christmas tree and draped in mistletoe; Santa’s ready to fly.